You can frequently find On Board Games contributors slumming it over at the worlds largest board game focused web sites. Check out our BGG Guild! Wade through our Wiki entry. I was contacted by a student graphic designer asking if I was interested in participating in a school project. She didn't consult with me about what needs we might have for a logo that might be unique to pod casts. 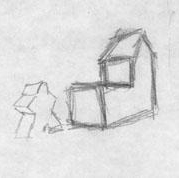 The final logo result ended up being a failure on several levels. Aside from the fact the graphics don't represent the kinds of games we talk about, they were spaced poorly, they would not scale well, and looked pretty cheap. What do I like? The use of white space, the tension between the elements, and that a B&W version could be created very easily. However the tiled letters could impact scale-ability and the ties to scrabble are still too strong. Overall though, this one rocks. An On Board Games fan saw a conversation in our BGG guild talking about the On Board Games Logos. He isn't a graphic designer, but I love to see what other folks do with our logo. He kept most of the elements (box, stoplight, and show title,) and made it more readable than the original logo I created. The typography of the title, and the use of blue in the background an on the stoplight reduces the impact of this submission, and it feels squat. It has fewer problems than the one submitted by the student of graphic design. On Board Games is an audio program about board and card games from the perspective of game scholars, industry veterans, and game enthusiasts. The duration of shows are usually around 60-120 minutes. The show is crafted to explore aspects of games and the game hobby from the viewpoints of professional reviewers, designers, and game scholars allowing listeners to enjoy games more thoroughly. The intended audience for On Board Games are those already involved with the gaming hobby. While there would be a wealth of information of new players, and they will be able to enjoy the show, the discussion will include mentions of a wide variety games and occasional use of hobby-related slang so those with experience will benefit most from the show. The keystone of On Board Games is a topic oriented round table discussion, frequently enhanced by listener feedback and questions. The hosts rotate between Donald Dennis, Erik Dewey, Isaac Shalev, Stephanie Straw, and Bruce Voge, while our guests are other insightful and dynamic gaming personalities. When we are lucky Scott Nicholson, our original co-host, drops by to share his gaming adventures. The review format has changed over time, and (d)evolved to our Review-a-palooza, where hosts discuss a selection of games ending with an older game. Games reviewed are from a variety of sources including some provided by the publishers as review copies. Contact onboardgames.net@gmail.com if you have a game you would like to submit for review. If you would like us to preview a crowdfunding project contact obgcrowd@gmail.com to check for availability in our schedule. We just ask that you commit to sending us a published copy when it comes out, at which point we'll review it again, so you’ll get double exposure right as your game hits retail outlets. 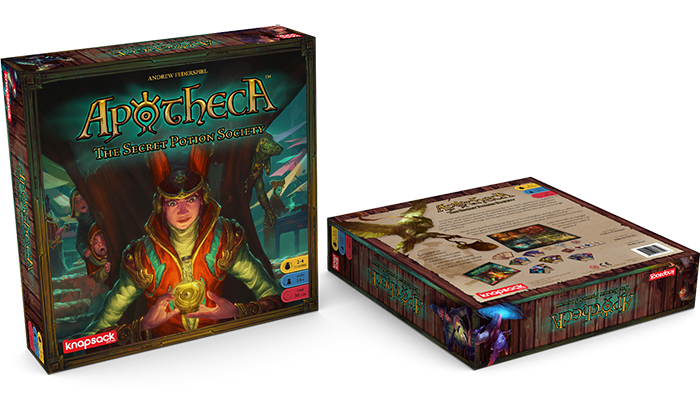 In our Kickstarter Roundup we discuss active crowdfunding campaigns of interest to our fans. If you have an upcoming campaign you'd like to talk with us about, or see an active campaign you think our listeners would be interested in hearing our opinions on, please contact us at obgcrowd@gmail.com. Fan-generated segments, topic suggestions, and review requests are always welcome. On Board Games uses a simple Red, Yellow, Green three-tier gaming rating system. The Red, Yellow, Green systems is not a Ranking system, we don't give a final judgment on games in relation to each other. Instead we rate the game based on what audience it would be suitable for and whether we are likely to play it again and how often. Red games are those we don't like and can't recommend. It is unlikely that just one issue dragged this game down into the red. Multiple elements, be they mechanics, balance, presentation, down-time, incomprehensible rules, or similar problems prevent red rated games from being successful. If games we rate red still interest you after our reviews, then you might want to find someone with a copy and give it a test run before you buy them. Games we rate yellow are good games that the reviewer will play when someone else requests to play them. A game being rated yellow may have a significant flaw or be on the brink of greatness, but it is neither spectacularly good nor spectacularly bad. Games rated yellow are excellent games to have in the collection of a game group, or good fun for one shot plays at conventions. However, they probably wont see weekly play around our tables at home. Games with a green rating are games we recommend wholeheartedly. These are the games we are likely to trot out of the game chest when someone asks “what do you want to play?”, or the ones we would take to gaming events. These are perfect for their target audience, uniquely appealing games that are worth investing in and able to support repeated play. The “fun for time invested” factor is appropriate. Green rated games are finely crafted works of art for some of the best games for a genre or theme. We rate games that we have in our collection, though we will also rate games we’ve played at our local game groups or events we’ve attended. Some of the games we review have been given to us by publishers. It is our goal to provide objective reviews regardless of how we get the games. We are creating our reviews for the listeners and not for the companies, and make every attempt to remain impartial and provide an honest critique of every game we cover. While we welcome game submissions from companies, and attempt to review every game we receive if it is appropriate for our audience, we do not guarantee that a game submitted will be reviewed. Reviewers reserve the right to change their ratings after additional plays and when given the perspective of time. 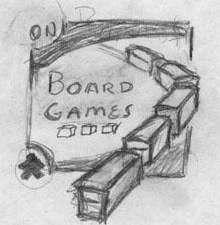 In December 2006 Donald Dennis recruited Erik Dewey and Scott Nicholson to record On Board Games. Two short months later episode zero was released, and the show has been released, with some degree of regularity, ever since. The voices of On Board Games has changed quite a bit since then. Erik and Donald are still the producers and sound engineers for the show, but Scott is less of a regular and more of an occasional special guest. Scott's chair was impossible for just one person to fill so the format of the show changed, and the third chair is now filled with a variety of talented guests; designers, publishers, other podcasters, and fans of gaming. Giles Pritchard was a frequently recurring voice, and can still be heard on-mic occasionally. The third era of the show started with the Crowdfunding Edition, first hosted by Jason Frye, but was fleshed out and became the hobby's premier source for board game related crowdfunding campaign information by Isaac Shalev with Donald sitting in the co-host chair. As amazing as that was, it only got better when Donald was replaced on Crowdfunding Edition by the vibrant and talented Stephanie Straw. Eventually the Crowdfunding edition was subsumed into the main On Board Games show, but On Board Games continued on stronger than ever with Isaac Shalev, Stephanie Straw, and Bruce Voge, joining Erik & Donald as hosts and co-hosts. Like every endeavor things have to change or they become stagnant. We have been so lucky to find amazingly interesting and talented people to join us on mic, and our next round of friends include Kathleen Mercury, and Adrienne Ezell, while TC Petty and Seth Jaffee show up to have an argument.